Health Chemist is a leading online store offering you a secure environment for credit card use. 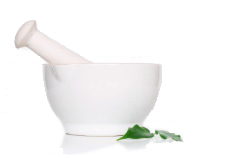 The site is designed to offer you private comprehensive information and access to Pharmacy and Natural Health products. The website is accessible 24 hours a day, seven days a week and we have qualified Pharmacists and Naturopaths available to answer any queries you may have either by e-mail or phone during working hours. We ensure security of all credit card transactions performed on the site with use of encryption technology. These are sold under the discretion of a Pharmacist and supply may be limited to what the Pharmacist decides is best for the patient. Health Chemist will not be held responsible for orders that are declined for health reasons and will not be liable for orders that are declined for any other purpose. Any products which have been ordered, which the Pharmacist considers to be of detriment to the health of an individual will not be supplied. In this event, the customer will be contacted with an explanation. Health Chemist will not be held responsible or liable to typographic errors with regard to pricing. In the event a product has been priced incorrectly on the website, Health Chemist reserves the right to refuse sale of the product at this incorrect price and will inform the customer in this event. We use International Airmail for overseas orders. These packages are not traceable. A more expensive traceable delivery option is available for overseas orders up to 2kg in weight. Please email us for a quote if you require this service. New Zealand orders are sent via Post Haste couriers and a track and trace number is provided. Customers can sign up to our email list giving you access to monthly specials and health advice articles. You can easily opt out of this by clicking the unsubscribe link at the bottom of the message. You will not be subscribed to this email list unless you explicitly request to do so. We take the privacy of our customers very seriously - we will never sell or distribute your personal data to a third party. We will not be held responsible for delays due to customs intervention and will not reimburse any items that are seized by customs or charges that are incurred to clear the goods. All products sold on this site are legally available for over the counter sale in New Zealand pharmacies. It is the responsibility of the purchaser to ensure that products ordered off this site are legally permitted in their country. Some countries such as the UK, may charge a mail handling fee for parcels over a certain value, which may be payable before goods are released. It is the responsibility of the purchaser to check these charges before placing an order, as Health Chemist will not reimburse any of these charges. Orders that are returned to us due to non-delivery,which are in a saleable condition will be refunded in full less any postal charges which have been applied to return the goods. Goods returned,which have been damaged in transit from the customer to us, will not be refunded (please note that all goods must be packaged properly to prevent damage in transit). Orders that are cancelled,by phone or email, before they have been sent will be refunded in full. Orders which are returned by the customer,not wanting to pay a customs or mail charge in their country,will be refunded less any return postage fees or other costs,plus a 15% restocking fee,providing goods are in a saleable condition. All goods must be returned within 14 days of purchase. Goods that are faulty can be returned for a full refund.We will send you an email confirmation when goods are received by us, or we may ask for a photo of damaged goods in lieu of them being returned by you. Refunds will be applied within 48 hours once goods are received by us.All refunds are done during office operational hours which is Monday to Friday 8.30am to 5.30pm.